Join us at The Teaching Kitchen in North West London, for a truly hands-on cooking experience. All abilities and ages are welcomed (scroll down for kids classes). Regardless of experience, you will be challenged and inspired to return home with renewed confidence. We keep classes to a maximum of 8, keeping it intimate and relaxed. Unless otherwise stated, all classes are hands-on, and you will get to make and taste everything. Each class is designed to finish with a meal to be enjoyed with your fellow cooks, or take your creations home to share. You will leave equipped with all the recipes to recreate at home, and Laura welcomes comments and queries long after you leave her kitchen! Laura is a joyful and irreverent teacher, and she strives to create a calm and fun environment in which to learn, whilst imparting professional knowledge and genuine chef tricks and tips. She has worked in the industry both as a chef and as a teacher in London, Singapore and the US. In addition, her experience as an instructor at the Culinary Institute of America makes her uniquely qualified to teach, and gives her an interesting perspective on food history, and food future, the ethics of eating, and a particular personal interest in vegetarian and vegan recipes. While predominantly based at our brand new premises in Kensal Rise, H&WS is a movable feast, and classes and events can be held anywhere! London is full of fantastic venues and we can always explore hiring venues on your behalf to accommodate bigger parties, corporate events, team building, and larger workshops. We have previously held workshops in schools, commercial kitchens, private homes and even outdoors across various venues throughout Asia and the US. The best way to stay in touch is via our instagram @heirloomsandwoodenspoons or Facebook Page as we are always updating and posting new events. Please contact us if you would like to organise a class for a private group (min. 6 people) at a time and date suitable to you just email laura@hierloomsandwoodenspoons.com. Discover the art of kneading, resting and rolling your own pasta dough to create a truly unusual and delicate pasta and the ultimate fresh tomato sauce. or check out Obby for upcoming dates! Come and learn the art of tasting and making chocolate. Together we will learn a little about the history and origins of chocolate, and the delicate art of tempering and shaping it. Create a unique box of chocolate truffles, chocolate dipped fruit and learn the forgotten art of making cinder toffee. The perfect class if you want to create your very own box of chocolate treats to gift to a loved one …Valentine’s class on the 12th Feb, Mother’s Day Class, and Father’s Day Class on the 15th June are all on the horizon – get a group together and email laura@hierloomsandwoodenspoons.com to set your date! Harissa Baked Salmon, Spiced Roasted Cauliflower, Green Beans and Preserved Lemons, Minted Cucumber, Jewelled Citrus Cous Cous, Labneh with Sumac, Chilled fragrant Orange with toasted Almonds. By the end of the session you will be familiar with many staple Moroccan Ingredients, and create your very own Harissa from scratch to take home. Learn the secret to getting pomegranate seeds to surrender easily from their skins, and get to grips with a pestle and mortar and a whole lot of chillies, as we grind fresh spices and fill the air with the aromas of North Africa. You will leave with the confidence and recipes to recreate your very own feast at home – a great dinner party menu! A Trio of classes that can be taken as a set or individually. Together we explore the exotic North African flavours and textures of Morocco whilst allowing ourselves to become transported to the hustle, bustle and unmistakable aromas of the Souks of Marrakech. Do you know your Ras el Hanout from your Harissa? In this class we will make Harissa from scratch! In class, we will use it on Chargrilled Prawns – a great dinner party appetizer. We will learn the secret trick to surrendering pomegranate seeds easily from their skins, the art of slicing oranges to create a Morroccan ceviche-style, palate-cleansing finish to your meal. A great class to pair with Scents of the Souk Part 2 or Cooking the Books; Chapter 1, as we explore the Middle Eastern and North African Tendencies of one of Laura’s favourite chefs – Yotam Ottolenghi. Today, we will put the pestle & mortar to work. Often, a tool cooks are given but seldom use, this is in fact one of my favourite implements. Never far from hand, I even use it to hold ingredients or as a serving dish for rustic dips. 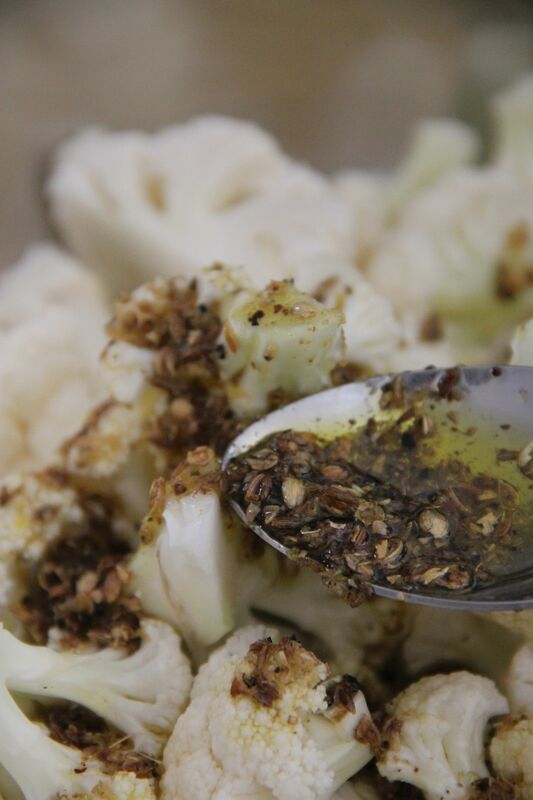 We will crush spices and herbs to make a tangy and aromatic wet-rub for cauliflower, before blasting it in a hot oven. We will learn the secret to easily stripping fresh ginger as well as the ultimate trick to making couscous. You will not believe how easy it is to create light, fluffy grains, ready to take on the flavours of your dressing! We will also make our own labneh – the perfect accompaniment to flatbreads or pita and a great side dish for your vegetarian Moroccan Meal. The ritual of the Tagine is an ancient one. In this class, we will relish and savor the time that it takes to create the ultimate ‘Slow Food’. Tagine cannot be rushed, and it takes time to prepare the ingredients, grind the spices and marinade the meat. However, it is not difficult, and once you have understood the technique, you will be richly rewarded for your efforts in the final results. You will to take home enough Tagine for two to finish off in your home oven, plus a completed side dish of Cavolo Nero, and a tub of blood orange and rosewater granita to take home for the freezer! One of Laura’s favourite Chefs, Skye Gyngell, refers to the arsenal of ingredients that she always ensures she has to hand as part of her kitchen “toolkit”. Having a handful of special ingredients that can be used to ‘finish’ a dish, composed and created by you, is something very special. All chefs have their very own signature finishing salt, and at the end of this class so will you – in fact, three! Packaged beautifully to take home for all to enjoy. We will also demystify the art of the Pickle – Together we will make two pint jars of “Quick Pickles”, utilising the freshest and best produce the market has to offer that day. Two Aromatic concoctions that I am almost never without, these two recipes can be used in a multitude of ways. In addition to the items in Pt.1 these will become the backbone of many salads and suppers in your repertoire, and can be used to reinvent or simply revive tired staples. Together we will create, and experiment with our own aromatic toolkit, and create some of my favourite flavours which you will take home, enabling you to add a special element to all of your favourite dishes. Over the years, I have been lucky enough to learn from and cook with some truly talented chefs, restaurateurs, and producers. Many of them are now not as geographically close as I might like them to be, but I often find consolation and inspiration in the books that line my kitchen shelves. When searching for new ideas or wanting to cook outside my own comfort zone, I look to the work of new chefs as well as the tried and tested recipes of old favourites. As well as plans for a series of articles about ‘Cooking the Books’ of other chefs, I wanted to cook with students some of my personal favourites from a few of the latest most popular and obscure books. Always open to suggestion, the first classes are in direct response to student vote! Vine Leaf, Herb & Yoghurt Pie, Artichoke Gratin, Farro and Roasted Pepper Salad, Pear Crostini. More of a collaborative evening than a class . . . Join me with a glass of something lovely, as we cook and enjoy a meal together from one of my favourite cook books. In this class we will explore some of Yotam’s recipes that feature a North African element, and some of his well known signature dishes. We will nibble as we work and enjoy the fruits of our labours together with a glass of wine at “The Dining Room” table. The Ultimate Caesar Salad, A Modern Caprese, Classic Salade Nicoise. These three classic salads have become staples on menus across the globe, and have been played about with, updated and deconstructed in recipes and restaurants over the years. Each salad has a history, a story or a following; everyone has their favorite, and, often, their favorite place to eat it! In this class we will create the ultimate version of each dish, using the best of each individual ingredient; elevating their status to a main dish in their own right. Great for weekday suppers, or as an elegant appetizer at a dinner party, these salads are incredibly versatile and well-loved. After class, feel free to join the communal table, and enjoy sharing the results of our morning of work – or feel free to take your dish home for dinner if you can’t stay. Roasted Tomato, White Onion and Truffle, Soupe au Pistou. Despite the occasional glimpses of Spring I still yearn for something hearty, something wholesome at the end of the day. Something that will heal and restore, help to banish those lingering colds, perhaps even prevent that ‘Man ‘Flu’! We need to fill our homes with calming and comforting aromas that will bolster us for the last of the chilly days ahead. For me, this can only mean soup! Learn to create three restorative and rejuvenating recipes in this intimate wintry class. A Duo of Chocolate Classics that would satisfy even the most voracious chocoholic! We will start with a chocolate tasting and explore the wonder and diversity of this extraordinary bean. Next, we will put this favourite ingredient to work in two very different recipes, and tackle the mythically difficult art of tempering. Together we will make a tray of brownies, as well a little box of chocolate truffles, and chocolate dipped goodies to take home. We will, of course, sample some of our creations along the way! A Series of Classes built around student requests to go ‘back to basics’, to be taken individually to fill in a gap in confidence or as a series. There is much debate about how to cook eggs. As a Chef it is often the first thing you are asked to cook as part of your “interview”. Whole books have been written about eggs, and the best ways to classically prepare them. Together, we will explore the extraordinary versatility of this humble ingredient, without which there would be no breakfast, no cakes, pasta, or pastries! In the first class we will learn how to boil the perfect egg – not something everyone knows how to do. Whether you like it runny, soft or hard, you will leave equipped to achieve it every time, as well as learn three recipes that showcase the technique. Perfect “Egg and Soldiers” – the classic English Breakfast. Salad Niçoise – French Beans, Seared Tuna, Roma Tomatoes, Black Olives, Slivered Red Onions and the perfect soft-boiled egg. A great weeknight supper staple! Deviled Eggs – The darling of the Seattle Food Scene these days, the perfect canapé or appetizer. A firm boiled Egg with the Yolk removed and whipped with Mayonnaise, then topped with smoked paprika, curry spices, a little fresh chervil, or even Crème fraîche and caviar. A great little treat that can easily be put together ahead of time and enjoyed with cocktails or simply a nice cold beer! The second in a series of classes built around the humble, yet infinitely versatile egg! Hollandaise – In this class we will explore the varied uses of the egg in European recipes, and learn Escoffier’s fifth “Mother Sauce”; This delicate lemony sauce is one often avoided by the home cook, but here we will make a batch that can easily be recreated at home. Eggs Benedict – Discover how to poach eggs and learn the trick to ensure the perfect egg every time for the breakfast classic “Eggs Benedict”, that has now become a staple in every American Diner. Chocolate Mousse – without egg, this light, airy delicacy would be impossible to achieve, and graces the menu of many old fashioned high end restaurants. Recently enjoying a resurgence in popularity, we will learn the technique, whilst updating this classic with your own unique additions – Sriracha Chilli, crushed pistachio, or smoked sea salt? Meringues – In this third egg class we will learn how to make the perfect meringue. These tiny, delicate sweet treats are finally receiving the attention they deserve. The darling of the patisserie section, the meringue technique is one used over and again in some surprising ways. Did you know that meringue is often the basis of the lightest Genoise-style cakes? Or that its’ versatility can be seen in classic desserts such as the French “Isle Flottante”, the English ‘Eton Mess’, or the Australian ‘Pavlova’. Many cuisines have lain claim to its’ almost magical qualities and elegant nature, but in this class we will create the classic cloud of egg and sugar – hopefully with a few extra to take home. Shakshuka – Next, we will continue our global culinary adventure a little further afield, and discover the delights of “Shakshuka”. Originally a breakfast dish, this hearty, spiced and warming one-pot wonder, originated in Jerusalem. Learn the history and origins of the dish and why it has become so popular on the London and Seattle Food Scene. A fantastic vegetarian entree, it is, also, gluten, wheat and dairy free! Salads appear on our table as side dishes, starters, main courses and ‘midweek quick supper solutions’ but all too often our salad repertoire remains stuck in our ‘culinary comfort zone’; churning out old favourites or tried-and-tested easy options. We are all familiar with The Classics – the Waldorf, Caesar, English Potato, Caprese, Rocket and Parmesan, Plain Green, Mixed or Cobb. In this class you will be encouraged to use ingredients that create robust and interesting dishes that can be enjoyed as a meal in themselves! Herb Roasted Almendras de Marcona, Gazpacho Andaluz, La Paella Perfecta, Cava. Spain and it’s cuisine has always played a large part in my life and I continue to retain close ties (despite the geographical distance!) with my beloved family house, near Ronda, in the mountainous south. Thanks to the extraordinary talents of Jose Andres, Ferran Adria, and countless other talented chefs, Spain is now hailed as a food mecca and known for far more than the traditional tapas. The idea of sharing small plates of food, now a staple format in many restaurants, one could argue originated in Spain. Family style eating lends itself well to many cuisines, but, I believe, that the Spanish still do it best. Join me for a night of cooking some of my favourite dishes and learn the secrets to the ultimate Gazpacho, the Perfect Paella, and Toast Marcona Almonds with herbs from the garden particularly tasty with a glass of chilled Spanish Cava, as we will discover! Email to register interest or get a group of 6 or more together and book a date! I strongly believe that children should play with their food! These days we have become removed from how ingredients are made, and from where they come. The packaging and sanitised environments in which we purchase much of our food adds further and further distance between the raw produce and the plate. I want to encourage students to get their clean hands dirty, as they are the best tools in the kitchen, plus they don’t cost a penny! Together, we will discuss where cheese comes from, how it is made; how textures and tastes change dependent upon what it is made from, where it is made, and how the cheese is aged. Come and spend a morning making your own simple fresh cheese, and take home the results. Together, we will make a simple ricotta-style cheese, which will give you the confidence to make it time and again. Individualise your creations with herbs and spices. Create a log, rolled in lemon zest and chives, or perhaps a medallion topped with black olives, thyme, or simply crushed black peppercorns and sea salt. And, finally, enjoy a discussion and tasting of some of Washington’s finest cheeses, learn their provenance and experiment with fruit and chutney pairings. Contemplate the long held idea of terroir; the concept that “things that grow together, go together” whilst sipping a glass of local cider or apple juice. Together we will prepare some of the quickest, simplest Hors D’oevres. Having something for your guests to nibble while you finish up in the kitchen is always helpful, and sets the tone for the meal to come. Together we will recreate some of Laura’s signature bites, that you will be thrilled to learn are not hard at all to make! Some can be made in advance, ready for that impromptu dinner, or simply enjoyed with drinks and salad for a light supper. Many of the recipes also make excellent hostess gifts too, and the recipes are so simple you will make them time and again! As a mother of a 12 year old and an 8 year old I found that activities involving food and fun are not easy to come by. It turns out I am not the only one – you asked, and we listened. In response to many requests, we have created four classes, two of which are particularly good for a party – but you don’t need a birthday as an excuse. Simply gather six or more masterchefs-in-the-making and contact us to arrange a date! This is a two hour class that can be taken 5-7pm any day of the week, or by arrangement on the weekend. We will concentrate on how to hold a knife, and how to use it safely. The kids will learn the techniques to achieve ‘baton’, ‘julienne’, ‘dice’, ‘brunoise’ and ‘mince’, and the uses they can be put to. We will make a classic Mexican style tomato salsa, and a restaurant grade chopped salad, with a Mexican twist, Each child will make enough to share a little when they get home, and learn plenty of new skills to show off! Please bring a proper chef knife that you are happy for your child to use. If you do not have one, I can highly recommend MAC knives, they are light and easy to handle. A great weekday supper, these recipes are sure to become a firm family favourite, and are a great way to practice those knife skills time and again. We will make a marinade of Lemon, Honey and Sesame with Asian spices for the Chicken. Perfect for the grill, or simply roast in the oven if the weather doesn’t permit! We will hone our knife skills as we slice and dice all the varied ingredients for the noodle and vegetable salad. A great way of getting lots of color (and vegetables) into one meal – sure to be a hit with the whole family. A two hour class for Mini Masterchefs wanting to expand their repertoire in the kitchen. Gather five friends together and choose a date! Students will learn the importance of presentation and assembly, as well as the importance of freshness and provenance of ingredients. Each student will make their very own batch of Classic Caesar salad dressing to take home and contribute to the composition of a GIANT caesar salad to share at the end of class. 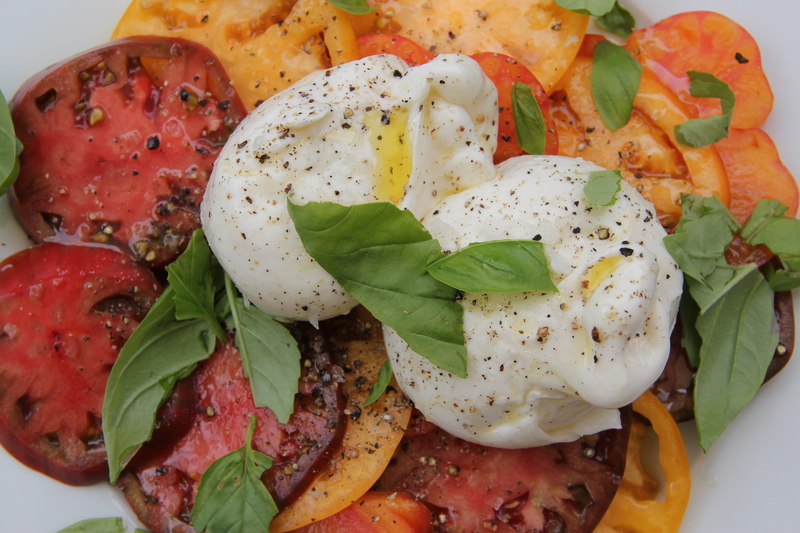 Students will also learn how to make a rather elegant version of the classic ‘Caprese’ using local heirloom tomatoes, basil picked from the garden, H &WS Basil Oil, and Buratta – the King of Mozzarella! Simply contact to arrange a date and time, then purchase your class. The cost per class is based on £55 per child for the class, and an additional £55 for a brownie birthday cake or layered fruit spongecake and ‘mocktail’ for each of the guests to enjoy at the end of class. Additional guests can be added by prior arrangement at a cost of £55 per child. Each child will get to make their very own bespoke ricotta filling. They can choose from classic spinach and ricotta, smoked artichoke, or three cheese, lemon etc. Next, we will learn how to make pasta dough and roll it out, then shape ravioli! Together we will get our hands dirty and make pasta the old fashioned way – with our hands! 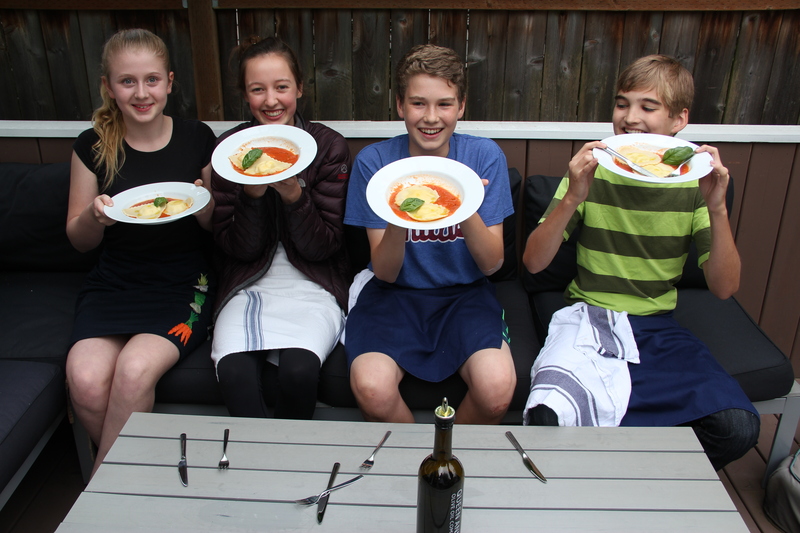 The kids will taste and share the results of their work and enjoy a meal at the dining table, cooked together with the chef. At the end of class all guests can enjoy a special Birthday ‘Mocktail’ and cake, and will get to take home a signature Heirlooms & Wooden Spoons party favor! Simply contact us to arrange a date and time, then purchase your class. The cost per class is based on£55 per child for the class, and an additional£55 for a brownie birthday cake or layered fruit spongecake and ‘mocktail’ for each of the guests to enjoy at the end of class. Additional guests can be added by prior arrangement at a cost of £55 per child. During this class we will explore the magic of chocolate, taste some different brands and cocoa percentages, and discuss the origins and history of chocolate. During this two hour class we will create a gorgeous ganache, using exquisite Valrhona French Chocolate, and organic cream, and turn it into simple, rustic fresh truffles. Each student will get to create a unique ganache filling, scented perhaps with vanilla or coffee. They will make their very own box of truffles, choosing coatings of finest cocoa, chopped nuts such as almond, hazelnut, or perhaps roll in brightly coloured sparkle sugar or sprinkles. The teacher will also demonstrate how to ‘temper’ chocolate to give it sheen and ‘snap’, and each student will get to dip a strawberry or two to add to their box of treats! At the end of class all guests can enjoy a special Birthday ‘Mocktail’ and will get to go home with their very own Box of Chocolates, and a signature Heirlooms & Wooden Spoons party favor! We teach in a residential setting in a Chef’s kitchen in Kensal Rise, North West London. Will I have to bring anything? No. Everything you need will be provided for you. Knives, chopping boards, aprons and all utensils will all be supplied. However, if you have a favourite knife or apron, please feel free to bring it! Not possible. We believe that everyone can cook. And you will leave the Teaching Kitchen able to recreate everything again, and equipped with the menus and recipes to take with you and use at home. You will always get to sample what we create and almost always take home goodies to share. What if I lose my recipes? Don’t worry, each student will get to keep the recipes they work with in class, but they will also get an access code to enjoy them online. It is also being developed to include a forum area for students to discuss, comment and share ideas and recipes and even new culinary discoveries! Please contact us for more information and availability for classes and events. Check back regularly for new classes or sign up to our facebook or instagram feed for updates. The Teaching Kitchen is also available for HIRE for small private functions such as assisted corporate Team Building Exercises, Wine Tastings, Book Launches, Local Produce Showcase Dinners etc. Check out our Gallery below for a closer look! trying to sign up for the pumpkin carving and GINGER Bread house class but when I click the ‘click here’ red letters nothing happens. How do I register for these events? Oh dear … so sorry about that! We will check links now – thanks so much for letting us know! Please go to https://squareup.com/market/heirloomsandwoodenspoons and you should be able to purchase through the payment site easily. if you have any further problems please email me directly at laura@hierloomsandwoodenspoons.com and I can send you a direct invoice payment link which is very simple. thanks so much again for your feedback! Wonderful cozy setting to learn culinary and life lessons and to ‘play with your food’ while you create food stuffs that offer a feast for the senses as well as the palate. Teacher Laura Leaver is thorough, knowledgeable, funny and leaves no romanesco nub unturned as she offers method, practical use and thinking outside the ice box in her cooking classes. It’s one of those places that as soon as you leave you’re already plotting a way back!